You MUST try the chickpea fries!! LOVE LOVE LOVE!! This place is across from the outlets. Service is good, we love sitting at the outdoor bar when we have time to relax and just have a drink. Great location and friendly staff. Oh! Almost forgot the Marlow's chips. Yep, I could just dine on the apps! This is not a review but a huge shout-out! 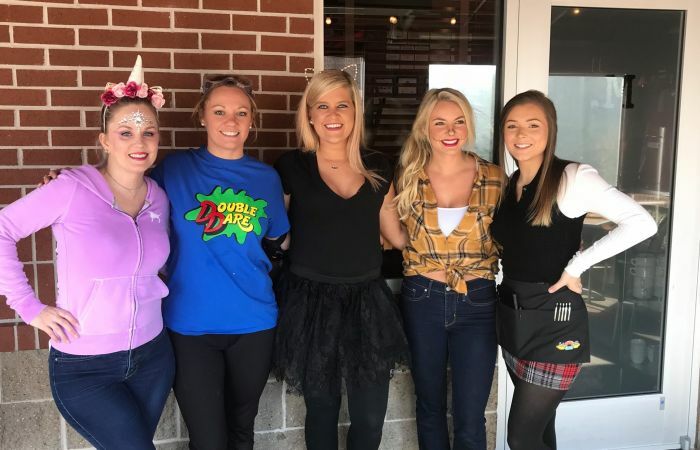 Your staff was absolutely some of the best I have seen I a very long time. The food was over the top. Portions that made common sense. 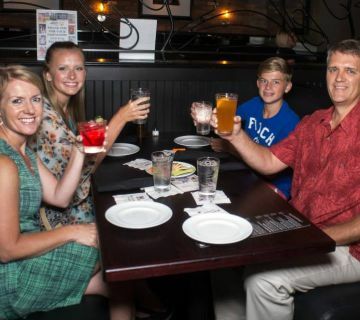 Look forward to having business and family along at Marlow’s Tavern. Good atmosphere, service friendly. Large portions of food, innovative. Superb selection of beers. Definitely well worth repeat visits. Don’t turn on the oven. Don’t fire up the grill, and whatever you do, don’t dirty up any pots, pans, or dishware. 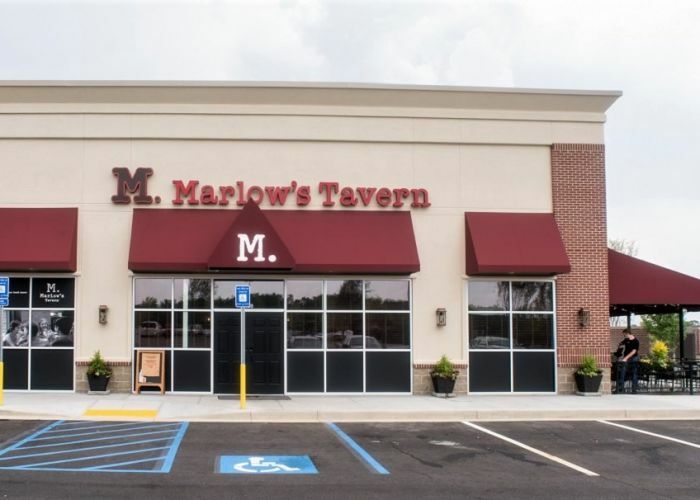 There’s no need when you can find a fresh, made from scratch meal in Woodstock, GA, at Marlow’s Tavern. 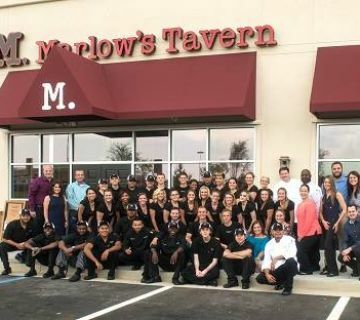 Whether you’re seeking patio dining or a comfortable and modern atmosphere and some of the best food in town, you’ll find it at your neighborhood Marlow’s Tavern. 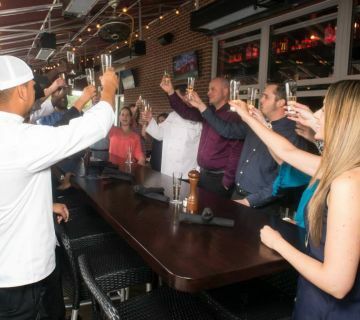 The contemporary atmosphere, handcrafted cocktails and made from scratch meals are a perfect complement to a night out with friends or a cozy evening of the best patio dining in Woodstock, GA. Our sleek and modern black and white motif complement a diverse menu of classic dishes with a modern flare. Enjoy a crisp cool salad, like Marlow’s Tavern Black & Blue Steak Salad. Enjoy beef tenderloin on crisp field greens, Roma tomato, and slivered red onion with creamy Gorgonzola dressing, or dive into a Roast Chicken Panini, featuring Prestige Farms Chicken, Melting Provolone, Arugula, Roma Tomato, Apple-Wood Smoked Bacon, Basil Aioli and Pressed Ciabatta Bread Or sample one of our handcrafted flatbreads, made daily with the freshest ingredients available. Don’t forget to save room for dessert, like our fried banana split or classic creme brulee. There’s something for everyone on our diverse menu! We pride ourselves on our open kitchen that invites diners to observe while our chefs whip up brunch or a delicious made-from-scratch dinner. Enjoy home cooked tastes with delightful flourishes prepared by our amazing chefs. Tuck yourself into a cozy booth and enjoy a date in an atmosphere made for comfort and appeal. 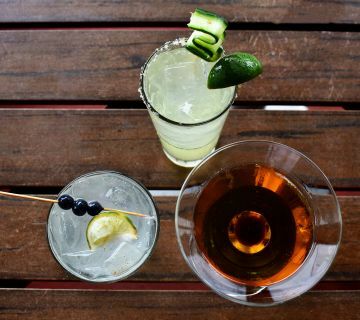 Better yet, slip outside to a table on the best outdoor patio around and enjoy the stars while you sip a handcrafted cocktail and enjoy the company of old friends at your neighborhood tavern, Marlow’s! 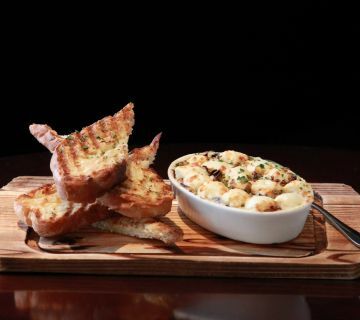 Whether you visit on a weeknight to grab a quick bite or linger over drinks on a weeknight, the warm atmosphere and great food at Marlow’s Tavern invite you to return again and again. 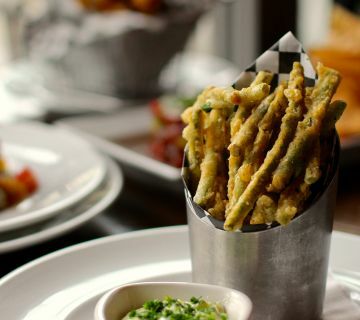 Though known for our inspired handcrafted cocktails and made from scratch dinner experience, Marlow’s Tavern is also pleased to offer the best brunch in the area. Dine at a cozy booth inside, watch the chefs spin a brunch worthy of sharing food photos, or enjoy a breezy cocktail with brunch on our outside patio. 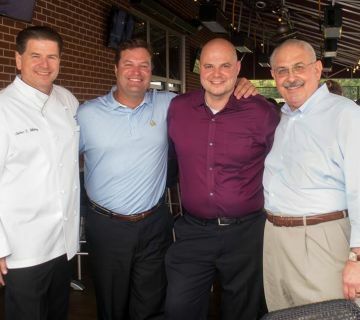 With an inviting atmosphere, made from scratch meals, and handcrafted cocktails sure to delight, a meal at Marlow’s Tavern means a clean kitchen at home and a full and happy belly courtesy of the best restaurant in Woodstock, GA.